For trauma survivors struggling with intense memories and emotions, it often feels like life won't ever be "normal" again. Effective treatments are out there, but the needs of family members are often overlooked. Will the person you love ever get better? What can you do to promote healing? Where can you turn when you just can't cope? From experienced trauma specialists Drs. Claudia Zayfert and Jason C. DeViva, this compassionate guide is packed with information, support, vivid stories, and specific advice. Learn to navigate the rough spots day by day and help your loved one find a brighter tomorrow. 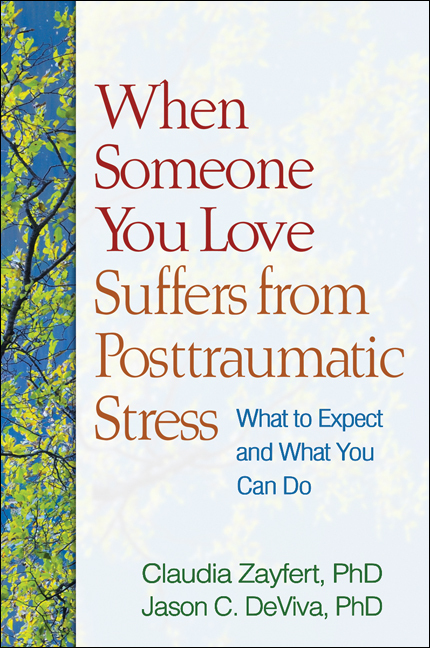 Mental health professionals, see also the related treatment manual, Cognitive-Behavioral Therapy for PTSD.